Edwin Jagger Silvertip Badger Shaving Brush. Handmade shaving brush with selected polyester handle and the finest white untrimmed silver tip badger hair. The highest quality hair. This finely graded and sorted badger hair is the softest, rarest, most expensive and luxurious badger hair with a natural untrimmed silver tip to each hair. 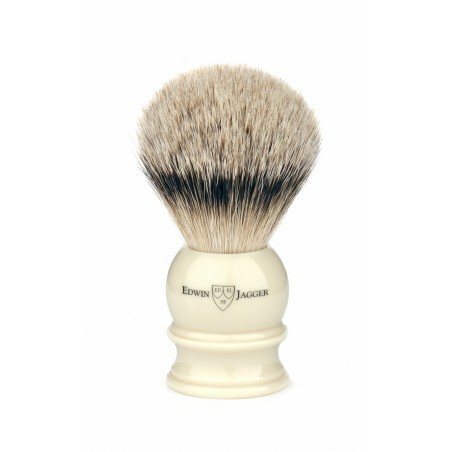 At Edwin Jagger the finest quality silver tip shaving brushes are hand filled with ultra soft and flexible hair to provide years of luxurious shaving. 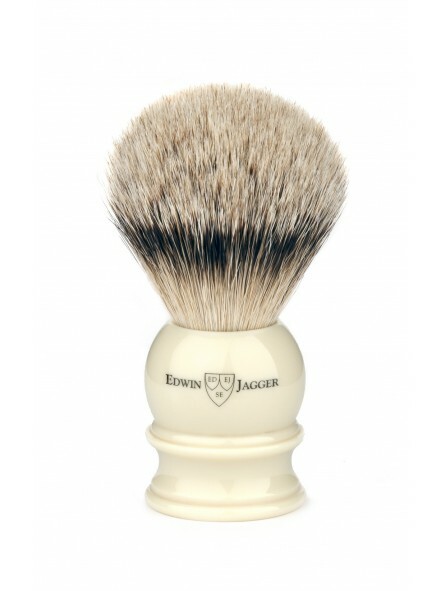 Shaving brush comes in an elegant black Edwin Jagger round tube.